iSportConnect and Paper.Li brought me two predictive analytics stories this morning. The iSportConnect link shared news of the Rugby Football Union’s partnership with IBM. IBM has become the Official Analytics Partner for the RFU and “will implement an analytics solution to provide fans with real-time insights into the game, including information about individual performance by players – the IBM TryTracker”. IBM’s Predictive Analytics software “will analyse historic and current rugby data provided by Opta” and aims to “give viewers access to insights that will heighten their understanding of what to watch for in each game and explain what needs to be done to increase the likelihood of a team win against specific opponents”. The IBM TryTracker will include the ‘Keys to the Game’, that will “provide play-by-play insights during the game, and predict three crucial areas of performance specific to each team ahead of match day”. The data for the Tracker will be collected by Opta for all England internationals and will be analysed by IBM, before being hosted on RFU.com. Paper.Li brought news that “researchers have created software that predicts when and where disease outbreaks might occur based on two decades of New York Times articles and other online data”. An MIT Technology Review post by Tom Simonite provided details of the prototype software. This blend of resources supports the development of general rules for what events precede others. The post highlights another a startup company, Recorded Future that makes predictions about future events “harvested from forward-looking statements online and other sources”. In a post about the company last December, Tom Simonite reported that search results “are compiled using a constantly updated index of ‘streaming data’, including news articles, filings with government regulators, Twitter updates, and transcripts from earnings calls or political and economic speeches”. 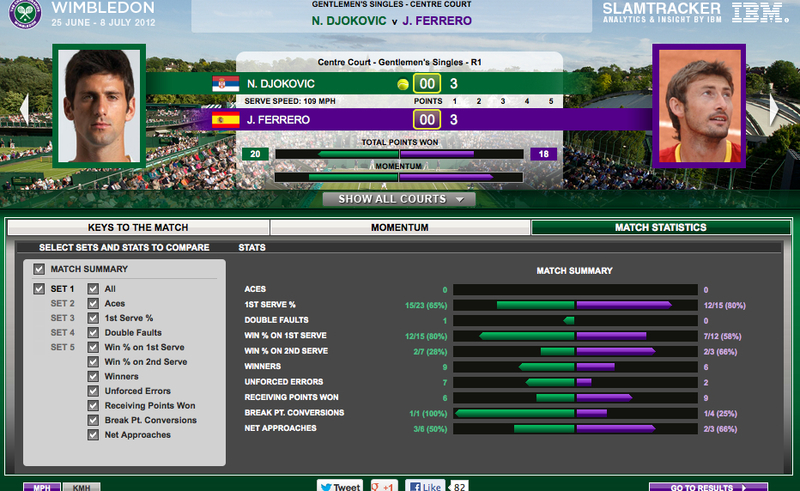 The All England Club and IBM have announced their 2012 web service for the Wimbledon Championships. 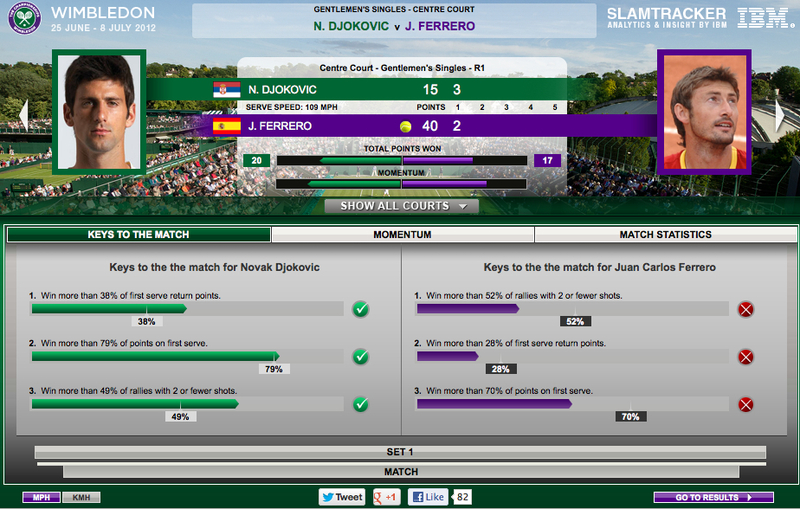 The announcement reports that there will be “a ‘Keys to the Match’ feature within SlamTracker that aims to determine the top three things a player must do in order to do well in a specific match”. 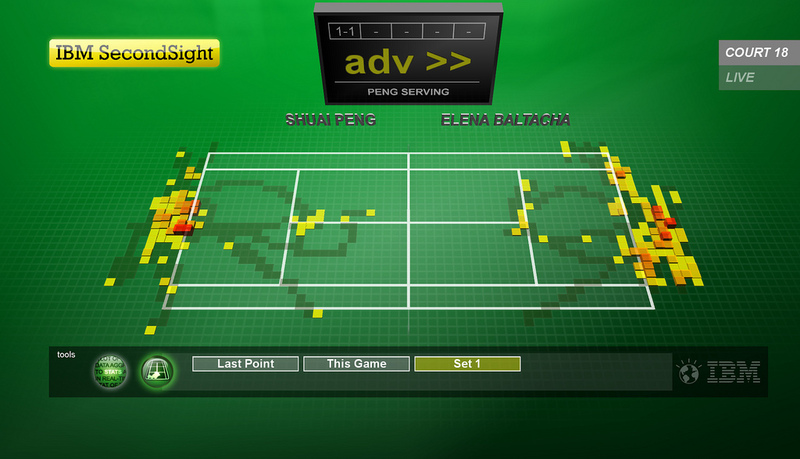 At the 2011 Championships there was a pilot of player movement tracking system. This year this SecondSight will be used on Centre Court. Darrell Cobner alerted me to this Guardian post about the IBM system in use at Wimbledon after reading my post.